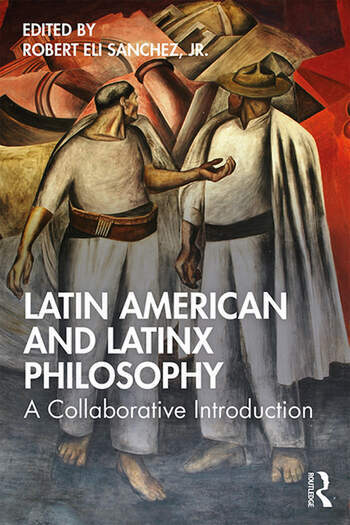 Latin American and Latinx Philosophy: A Collaborative Introduction is a beginner’s guide to canonical texts in Latin American and Latinx philosophy, providing the non-specialist with necessary historical and philosophical context, and demonstrating their contemporary relevance. It is written in jargon-free prose for students and professors who are interested in the subject, but who don’t know where to begin. Each of the twelve chapters, written by a leading scholar in the field, examines influential texts that are readily available in English and introduces the reader to a period, topic, movement, or school that taken together provide a broad overview of the history, nature, scope, and value of Latin American and Latinx philosophy. Although this volume is primarily intended for the reader without a background in the Latin American and Latinx tradition, specialists will also benefit from its many novelties, including an introduction to Aztec ethics; a critique of "the Latino threat" narrative; the legacy of Latin American philosophy in the Chicano movement; an overview of Mexican existentialism, Liberation philosophy, and Latin American and Latinx feminisms; a philosophical critique of indigenism; a study of Latinx contributions to the philosophy of immigration; and an examination of the intersection of race and gender in Latinx identity. Robert Eli Sanchez, Jr. is Assistant Professor of Philosophy at Mount Saint Mary’s University, Los Angeles. He specializes in Mexican/Latin American/Latinx philosophy and is co-editor of Mexican Philosophy in the 20th Century: Essential Readings (Oxford UP, 2017).